There is a lot of focus right now on the short term holding facility, Palomino Valley Center or PVC, north of Reno NV. We feel that it is important that complete information be given to the public about BLM short-term holding facilities and PVC. One can focus on one moment (like the images at roundups) but there is a process that occurs and circumstances surrounding each event. At a roundup the issue will be with the Herd Management Area (HMA): what are the factors that led to the roundup operation, what are the justifications, how is the operation conducted, and who is responsible. Once you know these factors, each event can be told in context. For example, a horse was hit with a chopper, but that is not all that happened at Triple B roundup. 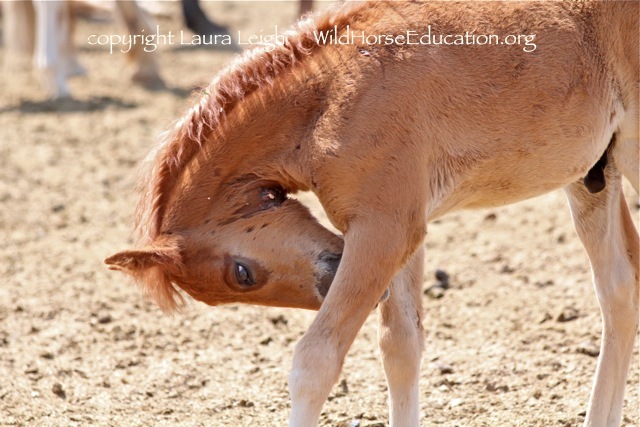 Wild Horse Education (WHE) has often been told that we give the public too many words and need to find the “sound bite.” But the “sound bite” is not the story, nor does it give the public a clear picture of all of the issues that exist and where the root causes lie that can be changed. Sound bites simply train a public to live in sound bites… and there is far too much of that. So today’s “big picture” story is Palomino Valley Center (PVC) and BLM short term holding. 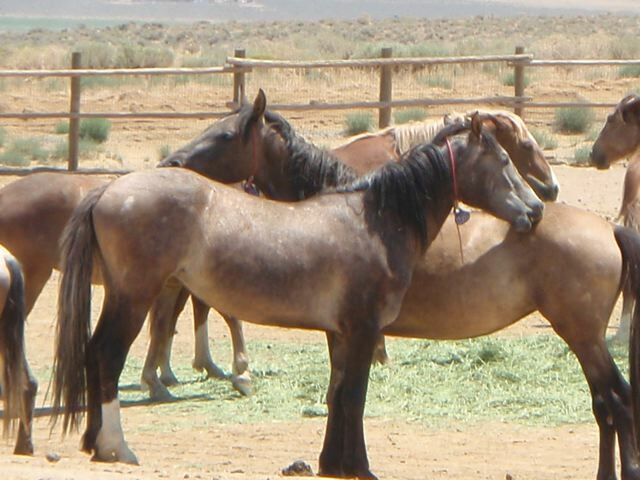 The Bureau of Land Management (BLM) Wild Horse and Burro Program can be seen in two separate sections. 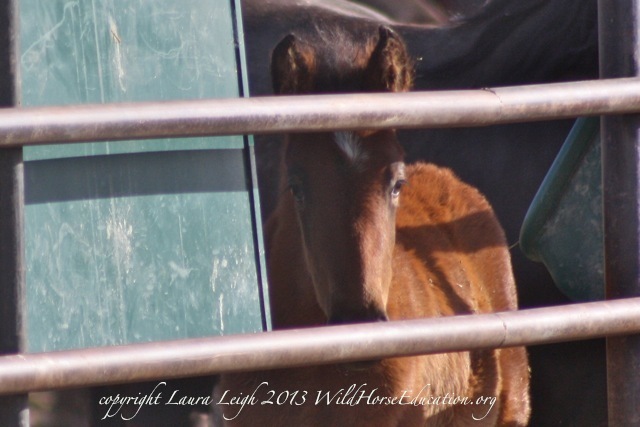 The program that “manages” wild horses and burros in the wild (we use that word lightly as very little hard data exists to justify any ongoing decisions being made on the range) and the system of warehousing animals after they are removed from the range. 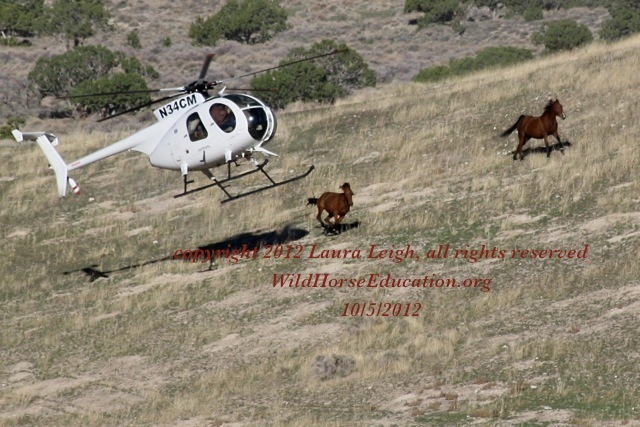 The roundup is like ground zero between these two major facets of the BLM wild horse and burro program. Each exists in relative ignorance of the other. Once a horse leaves the range it is a number, just inventory, with very little regard given to where that horse came from or how it got there. Very few range managers are aware of what happens in the holding facilities and they are even unaware that the animals are subject to the dangers of sale authority (which means they can legally and illegally end up in slaughter). Over the last forty years the BLM has managed wild horses more akin to a livestock operation than anything that remotely resembles “wild.” Populations are kept below genetic viability, no migratory ranges are known, many areas have failed to even do genetic testing, and nothing is really known about these animals, though we know these patterns in elk, antelope and deer. Original data on boundaries and surveys is non-existent (WHE has tried and tried to request this information under the Freedom of Information Act (FOIA) and have basically been told there is no archive and we must wait to see if funding becomes available to create one). Range management is another subject entirely and we will write about it again and again in the future… but needless to say this bungling system of petty kings ruling public land based on special interests called “range management,” has literally come to crisis. We have more wild horses in captivity than exist in the wild… perhaps as much as twice the number behind bars than on the open range. 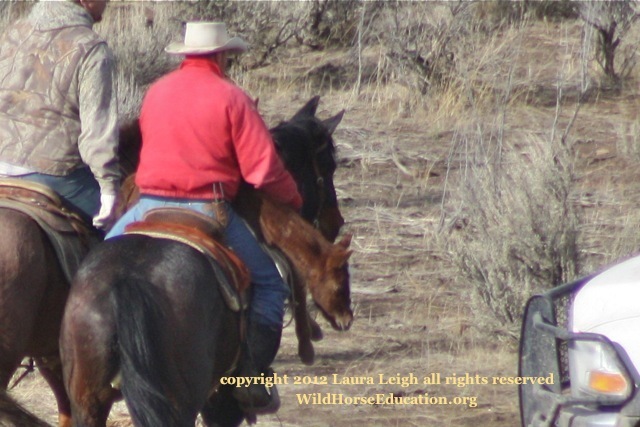 When wild horses and burros leave public land they go to “short-term” holding. Short term can however translate into years. The intention was that these “intake” facilities would vaccinate, brand, sort, adopt and ship horses to long term facilities…. without ever thinking that the warehouse would fill up if the process did not change. 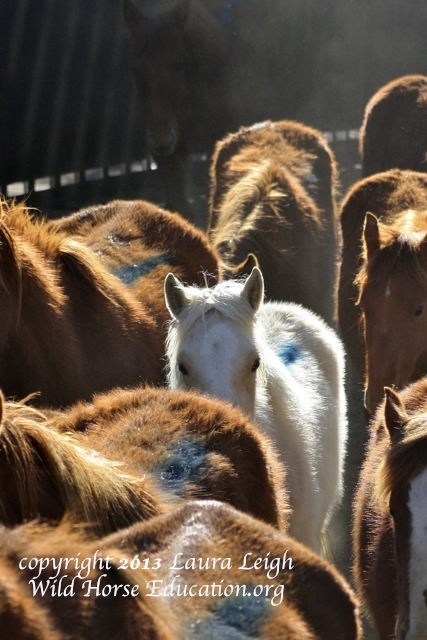 (The few thousand animals sold each year by the truckload out the back door of holding is not enough to make room for the over 10,000 wild horses a year pulled from the range in the last four years). Palomino Valley is one of BLMs short term facilities (see others here). Let that statement sink in for a minute… the truth is in Nevada there are districts that have more HMA’s than any other state. Nevada is wild horse country. There is so much more to say on the history of the program in Nevada… but again, another story. In 2009, due to escalating roundups, PVC could no longer handle the incredible numbers of wild horses being taken from the range. BLM contracted another facility that has had several names in the last three years; Fallon facility, Broken Arrow and Indian lakes. The Facility is the Broken Arrow on Indian Lakes Road, in Fallon NV. BLM website: The Indian Lakes Road Short-Term Holding Facility is located at 5676 Indian Lakes Road, Fallon, and is privately owned and operated. About a one and one-half hour drive from Reno, the facility is the BLM’s newest contracted short-term holding facility, and provides care for up to 2,850 excess wild horses that are removed during gathers. The facility encompasses 320 acres and contains 36 large holding pens that are 70,000 square feet per pen and can hold approximately 100 horses safely per pen. The horses are fed an abundance of feed tailored to their needs each day, and a veterinarian routinely inspects the horses and provides necessary medical care. 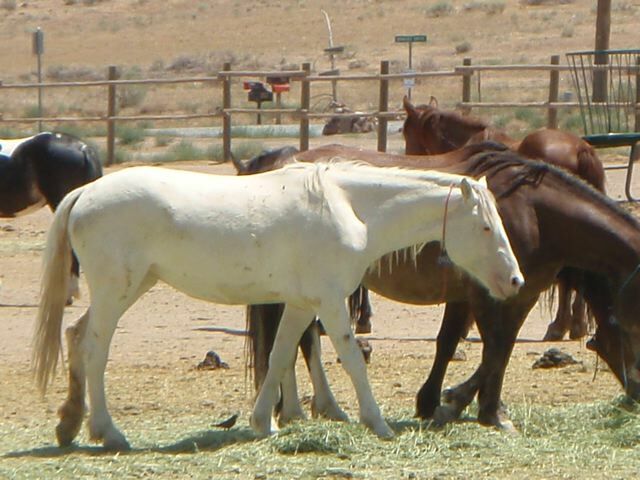 Once preparation for adoption is completed, and the animals have fully transitioned to a diet of domestic feed, they are ready for shipment to adoption venues and may be available to the public for adoption through the BLM’s Adopt-A-Horse or Burro Program. Please note that for the first time animals are being offered from a facility that has been off-limits to the public. 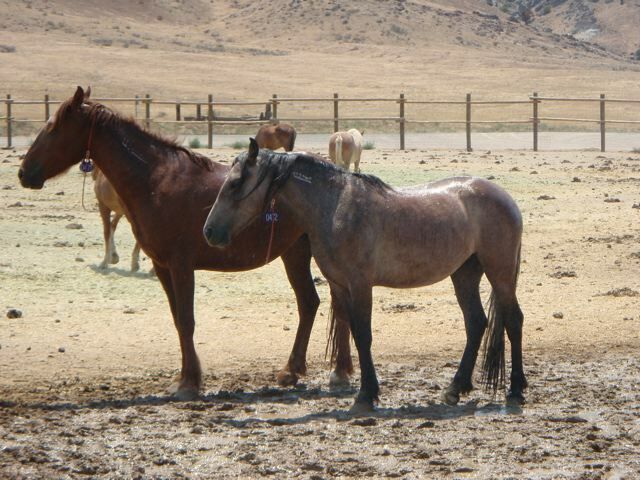 The animals being offered through the BLM internet adoption program there were primarily born at the facility and amount to only a handful of horses. The Broken Arrow is another story for another time…. 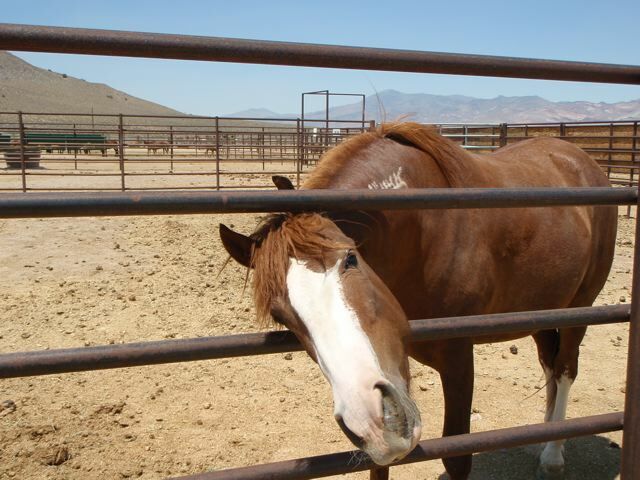 So right NOW, in this very moment, BLM has in “short-term” facilities nearly 5,000 captive wild horses in Nevada. (Just sit with that one minute…) That does not include the number of sale horses shipped to long term holding, sold or adopted… it is just the “inventory” currently present in the state…. and the horses have nowhere to go. BLM was not successful in creating new long term facilities or “sanctuaries,” except one. One facility took in horses and that “eco-sanctuary” is now charging admission so you can go see gelded hoses running in a field who were once wild and free to view on public land as PUBLIC horses on the range. 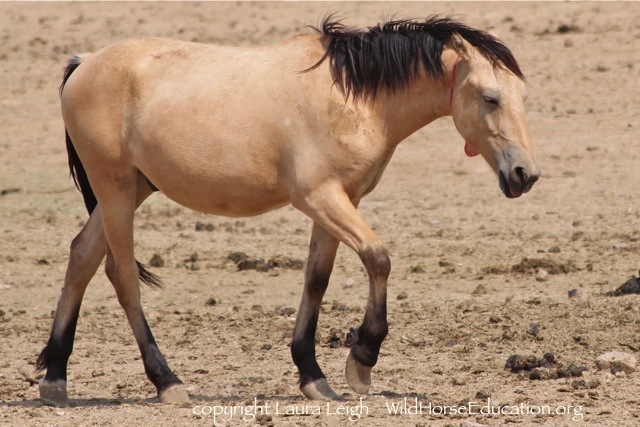 The other “eco-sanctuary” , yet to be completed, will actually require that wild horses be removed off the range for use in the sanctuary… and it potentially destroys three entire existing HMAs. Good plan, eh? You drive through the gates at PVC. There are a lot of pens filled with a lot of horses and a few burros. But do you know who you are looking at? Do you see them as BLM does as horses with tags on their necks or are you aware of where (and how) they came to the facility? Are you aware that usually at this time of year the pens are relatively empty and beginning to accept horses fresh from roundups again (like every year)? Are you aware that what you are seeing is VERY unusual? The animals that fill the pens at PVC are animals that were taken from the range June 2012-February 2013. Some of these animals were taken from the range over a year ago and some were born there last summer. Some came off the range in great shape and some came off with backbones showing through winter coats. Some came in as newborns and some came in near the end of their natural lives. Several loads shipped out of PVC over the last year and they were primarily older horses taken in the first part of the 2012 season… for example the older mares and stallions from Jackson Mt. are gone. The younger horses from Jackson Mt. are still there… over a year now. Many born of Jackson Mt. moms are still there… but mom and dad have shipped. 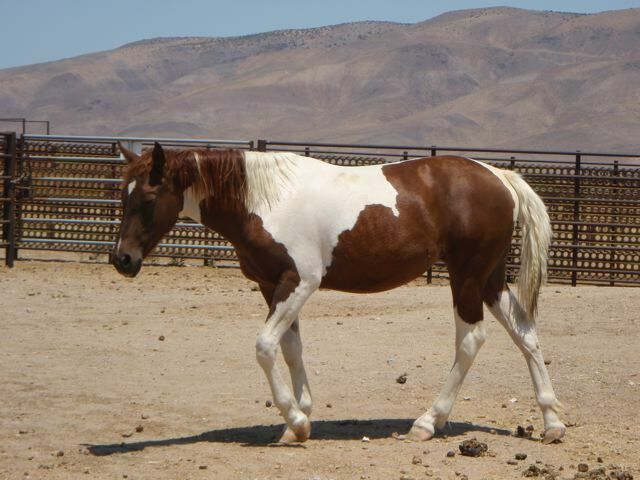 Some Calico Complex horses are there, but remember it is a “Complex” so when tracking their numbers you may be told the animal is from “Black Rock” or “Granite.” The Owyhee horses are also there. As are the Diamonds are there. WHE has tracked many, many of these horses from the range and followed them through their transition into “mans world.” They are not just a number to us. 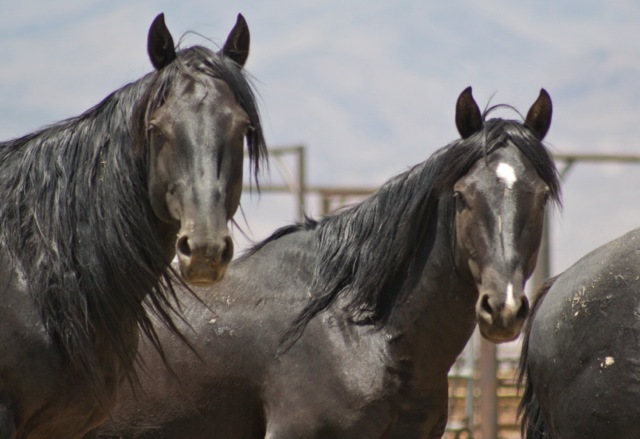 Jackson horses: last time they were removed from the range in 2007 hundreds of them died in holding from salmonella; this outbreak followed what BLM justified as an “emergency” removal to save the horses’ lives. 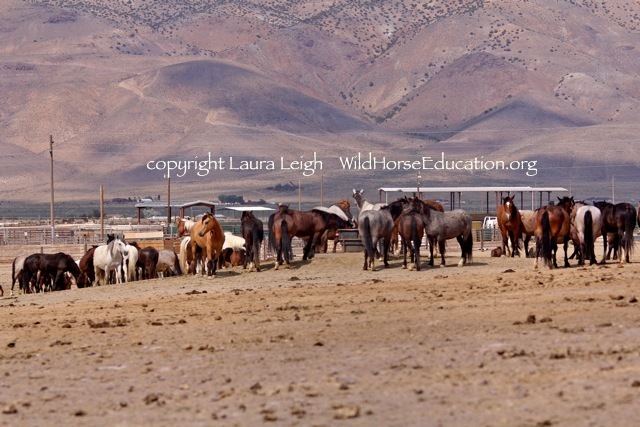 Jackson horses (Winnemucca District) were again taken under pretense of emergency, an din that event BLM had newborn babies running full tilt in the heat of June. That action prompted WHE to pursue a lawsuit that held BLM to safer parameters for roundups during foaling season after weeks of conversations led nowhere. 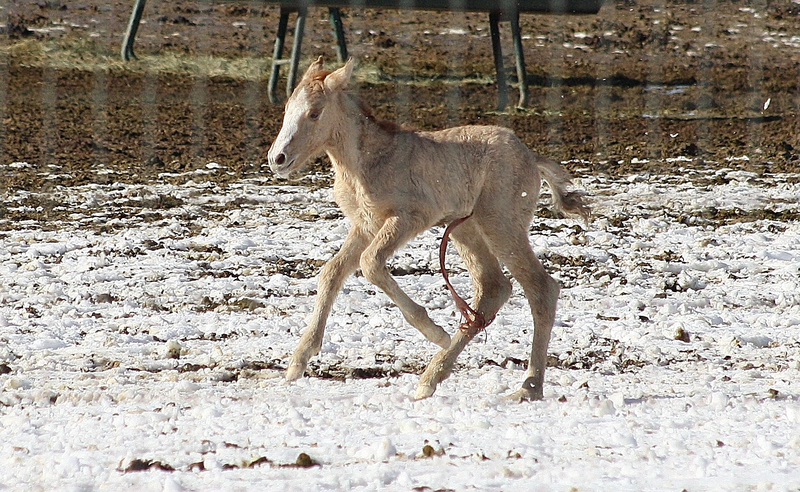 The lawsuit bought time for the horses in the north of Jackson… newborns taken in July are still at the facility. (The WHE lawsuit is still active with regard to BLM inhumane conduct issues). Diamond Horses: These animals (the “on HMA” horses on the Battle Mountain side) came in with backbones showing through winter coats. WHE monitored the horses the year prior to removal on this range, which has been over utilized by domestic livestock for decades. The population was compromised. Many of the Diamonds came down with strangles in PVC after capture. There is some very funky stuff happening NOW on that range… but that is another story. 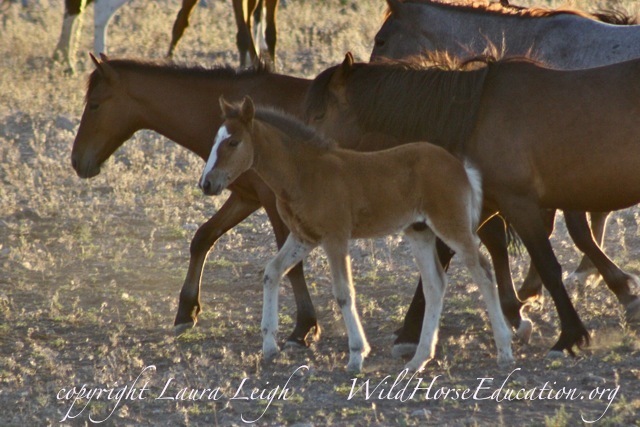 Housing large numbers of wild horses creates challenges. Those challenges must be met, as much as possible, proactively. 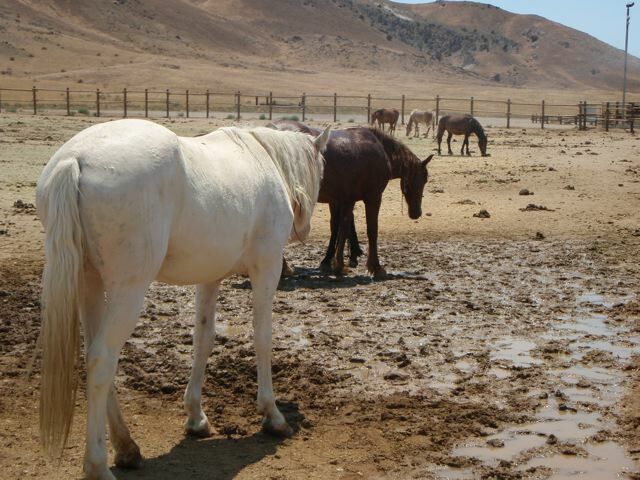 As the temperature rose during the heatwave we had in Nevada, much public attention has now shifted to the threat of the heat to the horses at the facility. Like most BLM facilities there is no shade option for the horses. A shade option could be facilitated by simply extending the western edge of each fence line up by 4-5 ft. with an opaque covering. This would simulate shade by a tree line in the hottest time of the day and could be removed in winter if snow is an issue, or wind. Constructing an open sided shelter with a slopped edge that leads out of the pen would allow shade in winter and run off of snow outside the enclosure, minimizing risk. A shade solution could be found. Adding additional water sources would decrease the crowds at the single sources and allow less dominate animals more opportunity to drink. The sprinklers do not “scare” the majority of these animals that have been in captivity for some time, but there are so few of them (sprinklers) that dominant animals get the play time (sprinklers also have the ability to reduce boredom). Roan peeling and sunburned is now in pen where he can get some shade. BLM says peel happened prior to burn. Regardless he was burned, but now has shade. HOWEVER there is no mass of animals writhing in heat exhaustion at the facility. There is no mass die off from heat-related illness. One horse died of what appears to have been colic, it may have been heat related. The horse was documented in distress on the hottest day of the heatwave, July 1, and no staff was notified. A horse (not confirmed as the same horse, no tag ID) was dead the next morning. Is shade an issue? Yes it is. There are some hot, bored, captive horses and illness is still present at the facility. We are back to seasonal temperatures. But there is no sign of mass heat exhaustion. Hoof care rotations have begun again at the facility. Strangles stopped the last rotation. Someone said there was an issue with the chute, but we have it on good authority (facility manager) that strangles popped back up. In many of the adult populations strangles has abated and hoof care is again part of the rotation. How long will these horses be there and is the rotation enough? The horses will be there for some time and the hoof care exists, but most likely will not be adequate. BLM needs to begin to address issues. BLM needs to stop running a reactive program that only gets proactive when kicked hard enough. Could no one foresee that housing animals for this long at a facility not equipped to do so would create issues? Could no one foresee that a heat wave (during any summer month in drought years) could create a need for shade or cooling? Could no one foresee that a compromised population (Diamonds) might be more susceptible to disease and would need to be isolated from the general population to avoid contracting and spreading disease? Could no one foresee that running a blitzkrieg removal operation full steam would lead to a crisis while no change in range management is even discussed? Are policy makers at BLM like Walmart clock watchers punching in and out and marking time without questioning anything? BLM needs serious reform top to bottom. In order to stop the holding crisis we need to change management on the range. In order to change management on the range we need data that is, and has been, severely lacking. Please help us, help them. WHE is dedicated to fighting for protections from abuse, slaughter and extinction and to that end spends more time in the field and in the courtroom than any other organization. Pictures below were taken this week by Jessica Gardner this past week at PVC. Those poor horses must be bored out of their minds. 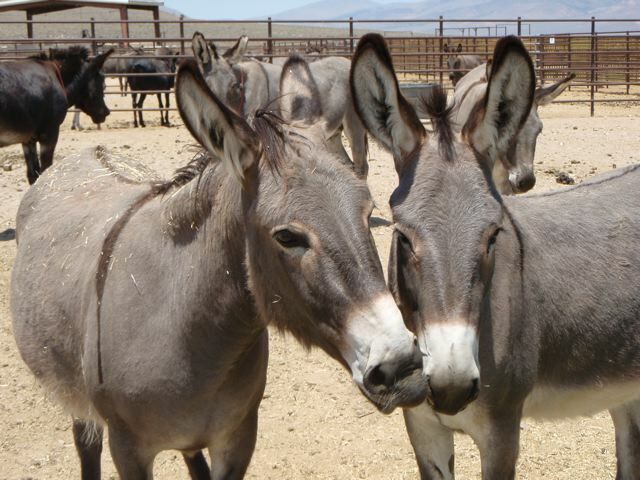 Please leave our wild horses and burros alone! The BLM is a complete failure in their management and cannot handle the burden of feed, housing and medical attention these animals require. It is nothing but complete and utter cruelty how they have been handled and housed for years STOP the ROUND UPS. STOP the eradication of our nations wild horses and burros. WE ARE THE PEOPLE it is time for you to listen to us! Excellent, clear – and terrifying report. The BLM has apparently decided to forgo all semblance of pretense that they manage ‘wild horse’ range and instead clear the ranges for free-grazing of privately owned cattle. Much like the Native Americans were thrown off their lands, violating treaties, in order to ‘make way’ for white settlers. I am so very outraged and saddened to tears..I have donated and share info all the time….dont know what else to do…want to do more! So much money coming in to PVC through the budget; so much room for even small improvements. Even with the supposed ‘sequestration’ across the boards, PVC looks almost exactly as it did last year…and the year before…and the year before. Just up the hill, or down the road, grasslands and acres upon acres of undeveloped properties for sale. The other side of Pyramid Lake and the Reservation, wide open private lands sit, unused. PVC, like so many of the larger short term facilities, have ‘run their course’. Perhaps it might be better to give them a rest, allow that blistering heat, lack of forage and a couple of drippy winters the opportunity to sterilize the dirt. Oh, but wait; that would cost money that the BLM’s WH&B Program apparently doesn’t have. It’s difficult to fathom that more than $3M can’t provide anything for these animals past the lowest-price contractor-bid hay and running water, and an occasional pedicure. Imagine for a moment what YOU, as a private individual with 2,000 acres and a $3M budget, could do for 1,859 animals. Imagine what YOU could do with just 10% of that. And let that sink in for a moment. OK so…….we know that all of these horses will not get adopted. There is not room in sanctuaries for them. 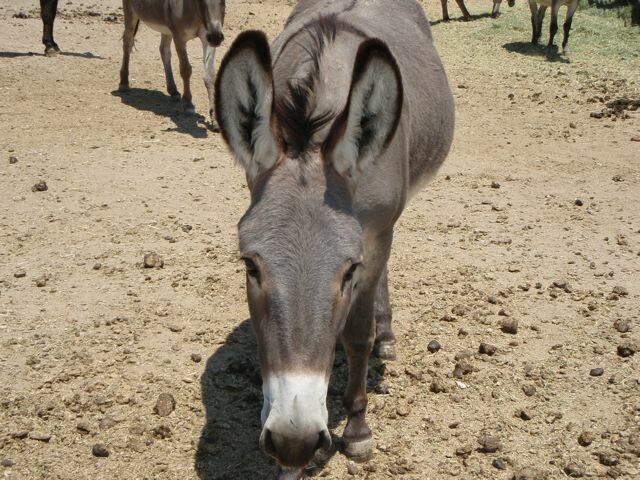 SO glad for all of you who are watching and recording what is going on………it must take so much time and dedication…..THANK YOU on behalf of the horses and burros. I wonder if after a year in a holding facility they become the private property of that contracted facility and them can be shipped to slaughter. What a waste of money……..just a big mess……who is getting the benefit from all of this? 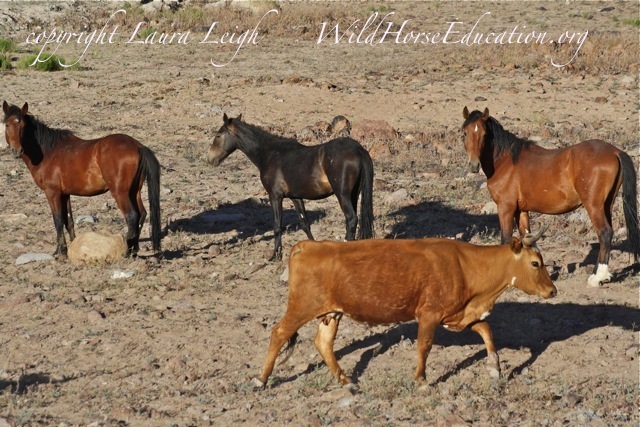 I have heard about the Ruby pipeline, fracking interests, the cattlemen’s association……..God bless the people looking for the truth………..
BLM horses retain their “wild status” under law until adopted or sold. Short-term holding facilities are primarily government run (BLM employees) with the exception being Broken Arrow. 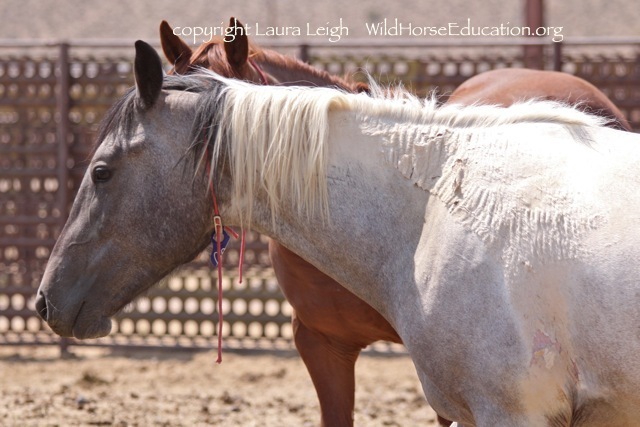 There are a couple of private “adoption centers.” LONG-TERM holding is another story… most of them are privately contracted and have a multitude of other issues… but the horses reatin the “wild” status under law. Wild horses are “sold” under “sale authority” and if you go to our website in the menu bar is one of our slaughter investigations. In the drop down menu you will see “sale authority,” click that and you can read how wild horses are vulnerable to slaughter. I talked to the manager out at PVC about the shade ane he said that…well they are doing another ‘study’ and to actually get shade it would most likely take a few years. A year or more for the study, then if the study indicates a need for shade more time to get funding and put in the shade. So he was saying that shade is not going to be an option for a long time. Yup… the “ok” and funding has to come from National, not state. The state budget covers everything on the range and then the National budget covers all holding. Consider the source – second hand info – but one BLM ‘official’ was allegedly quoted as saying that shade structures would be impractical as they would encourage soil-borne pathogens and the illnesses that follow…not that standing ankle deep in old manure and sharing water from a single small, static water trough would contribute in any way…just sayin’. Yup… and it will take a two year study, three committees and several tax ayer funded meetings to evaluate the need for shade before BLM gets a recommendation and then another year before they say they don’t need it again…. Or maybe they will just create another IM like for humane care? People that think litigation is a “waste of time” need to think again. It takes time but not nearly as much time as the gov takes on it’s own. Laura! Was that sarcasm (heavily decorated with The Truth)? Wow, thanks for putting this into perspective Laura. Of course we all knew these poor souls came from the roundups, but you eloquently reminded us of the specific events based on your peripheral involvement, and your extensive knowledge of each phase in the sequence. I couldnt agree with you more that we need to set precedence with lawsuits in order to get these horrific conditions addressed and resolved, so many thanks to you for doing just that. I hope you are on the mend, and that you can get back in the field where you belong and our wild horses and burros are counting on you to document their tragic stories. I hope one day we can look back on this time with profound contentment that we won this war, but until then let’s keep fighting the good fight. 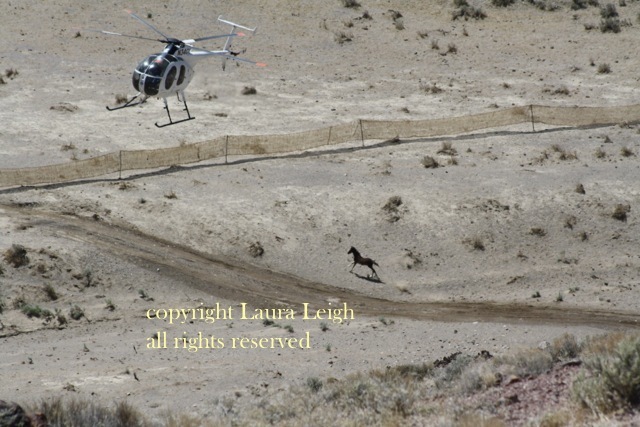 This is a Hollywood film in the making… not just the plight of our wild horse and burros, but your steadfast dedication and unstoppable tenacity. Shade is a basic requirement for any animal in captivity. It’s basic animal control policy. But they have to do a study to figure out that shade is needed. Heat wave, desert, no brainer. Many thanks, Laura. I pray our wild horses will be saved before they become extinct. Shelter is what any horse needs –wild or domestic. Yesterday when we had a sudden storm come up my mustangs and domestic horses all ran in the barn. Of course we will never know how many die at PVC and other holding areas.or how many go to slaughter. So many roundups and removals are happening so fast now it’s hard to keep up. Did anyone get to listen to the oversight committee interview Secretary Jewell? 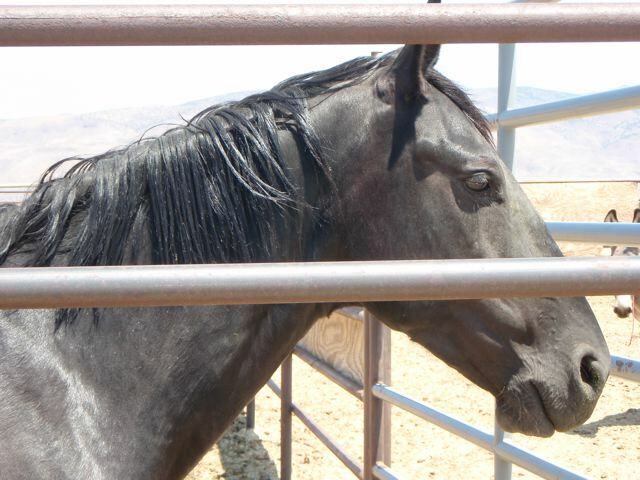 If you adopt a horse from the BLM, one of the requirements you must meet is shelter. And yet they are exempt from providing our wild horses from the same basic need they require of us. Corrupt government. It angers me to tears. Reblogged this on Wild Horse and Burro Territory Tribune. Try to adopt a mustang and you’ll find that you must have proper shelter as one of the requirements for adoption. Also, each horse must have at least 20′ x 20′ paddock! Heard today there are no salt blocks provided those held at PVC… an absolute minimum (and inexpensive) standard of care. Can anyone verify this, and provide a legal explanation? 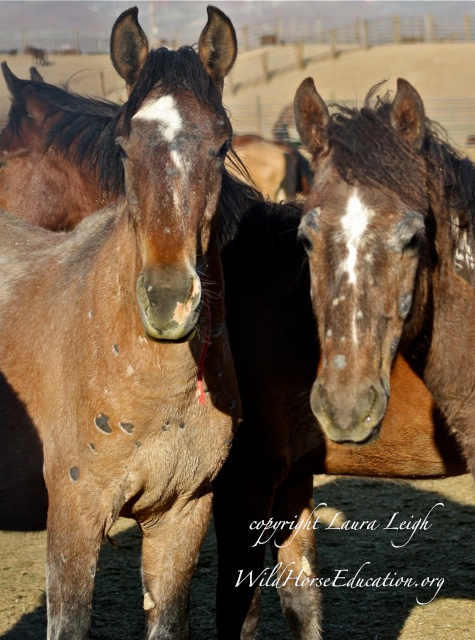 Adopters must meet much more stringent care requirements than the BLM “protectors” it seems.